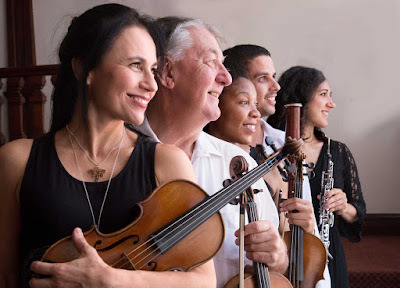 Baroque 2000 will stage its Season Opening Concert on Sunday, March 31, 2019, at 11h30 at the Church of the Mariannhill Monastery. This concert will open a series of 8 performances usually taking place on the last Sunday of the month. This first performance will consist of works by two of the great Masters of baroque music, Johann Sebastian Bach, (Overture Suite No1 in C major BWV1066); and Georg Frideric Handel (Concerto Grosso Op3 No5 in D minor HWV316), as well as the Symphony in Trio in G major Op2 No5 by Nicola Porpora, Arcangelo Corelli’s Concerto Grosso in D major Op6 No4, and a unique composition by contemporary composer Federico Maria Sardelli (Concerto for strings in D minor) who writes music in the typical baroque style. This concert promises to be a very festive musical experience having on stage additional wood wind instruments augmenting the main core of traditional string players and harpsichord. The concert will take place at 11h30 on March 31 at the Church of the Mariannhill Monastery. Tickets R150 at the door. Ample and safe parking is available and the Monastery Tea Garden is open for coffee/tea and light lunches.